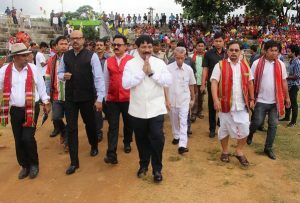 The IPFT, a partner in Tripura’s coalition Government led by the BJP, raised it voice again for a separate Tipraland during a programme organized to mark the Tipraland Statehood Demand Day on Thursday at Khumulwng Stadium in West Tripura. 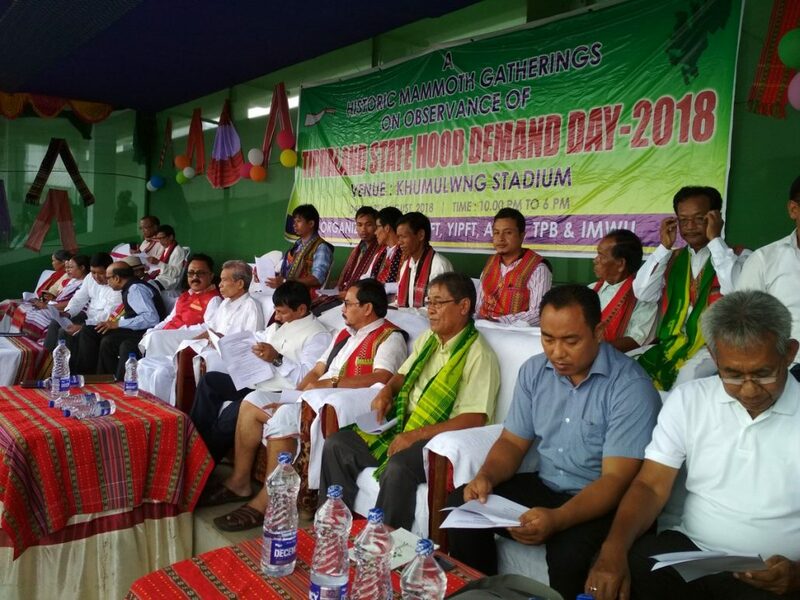 The party observed the Tipraland Statehood Demand Day 2018 in presence of a mammoth gathering at Khumulwng Stadium. 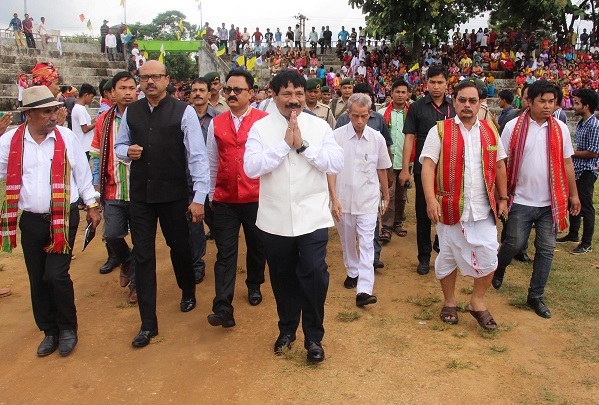 The programme was also attended by Atul Bora, Assam Agriculture Minister and president of Asom Gana Parishad, a coalition partner in the Assam Government led by the Bharatiya Janata Party (BJP). The AGP has been supporting NRC update in Assam. The event was also attended by IPFT president and Tripura Revenue Minister NC Debbarma, Tripura Tribal Welfare Minister Mevar Kumar Jamatia, National Federation for New States (NFNS) leaders and the general secretary of National Democratic Front of Boroland-Progressive (NDFB-P), Govinda Basumatary. Tripura Minister Jamatia recently spoke in support of the revision of the NRC in the State and hoped that his party would soon demand it like several other States. However, Tripura Chief Minister Biplab Kumar Deb recently rubbished the need for NRC update in Tripura, saying there was no such public demand. It may be mentioned that the issue of updating the National Register of Citizens (NRC) in Tripura was also highlighted in the programme like the NRC being updated in Assam in order to detect illegal immigrants in the State. According to reports, the IPFT will hold a sit-in demonstration seeking NRC update on August 25.